Have you ever been overwhelmed by the sheer volume of restaurants in Paris, and found it difficult to avoid tourist trap restaurants? Travelers regularly come to me with questions about restaurant recommendations. Often they’d like to know where to grab a bite after touring with Sight Seeker’s Delight. For example, have you had the chance to join our Secrets of the Night tour? 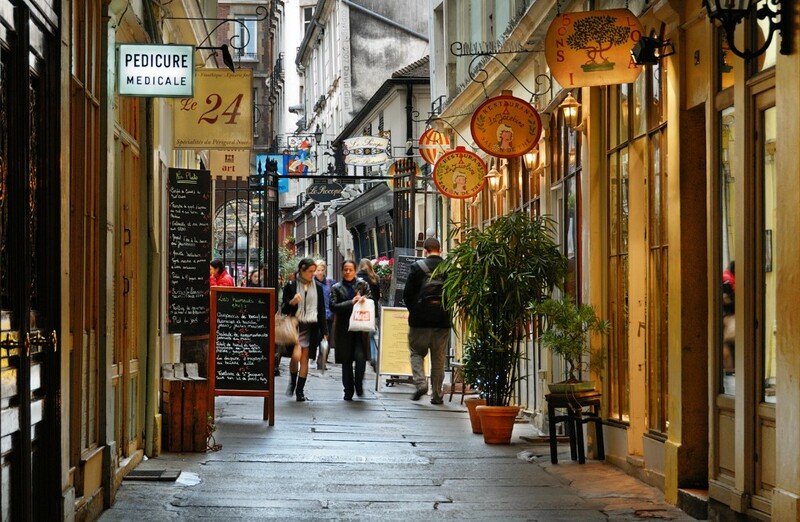 This gem includes a stroll on a winding route through the Latin Quarter and a bit of Saint-Germain. As you can guess from it’s name, the tour is in the evening hours so you get to see the beautifully lit-up Notre Dame, Louvre, Pantheon, Paris bridges, and even the sparkling Eiffel Tower from afar. Not to mention a handful of unforgettable movie sites! Feeling hungry after the Night tour is understandable…it’s dinner time, after all. Plus, learning all of the history and incredible anecdotes about the more mysterious side of the Latin Quarter is a solid start to an evening. The only thing to really take it up a notche is a delicious meal! This referral comes from our lovely/smart/funny/all-around-perfect tour guide Steph. La Jacobine is her top pick for where to go after our Secrets of the Night tour. 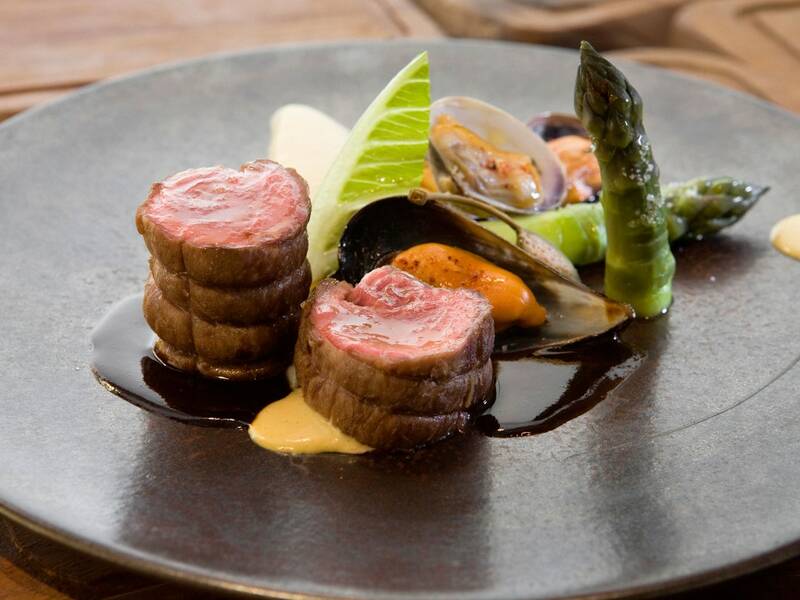 This bistro is all you could want and more for classic French cuisine. Whether it’s winter or summer, you should really try the French onion soup at La Jacobine. Trust me – short of making it from scratch yourself it’s some of the best you’ll ever have. Swoon… mmmm you had me at baked and camembert! I can also vouch for La Jacobine’s classics like escargot, boeuf bourguignon, and magret de canard. OK, maybe I just love EVERYTHING here. Now it’s time to try it out for yourself! FYI: This place tends to get pretty packed pretty quickly, so run, don’t walk, here straight after your Secrets of the Night tour. Or maybe you’re just craving something lighter, after all the rich and saucy French classics you’ve been enjoying? I’d recommend Fish La Boissonnerie. This seafood restaurant was once an old fishmongers, now it’s been converted into a fish restaurant and wine bar… and quite a good one. BONUS: Most of the staff speak English – a few of my Expat friends (from Ireland and Canada) have worked here! 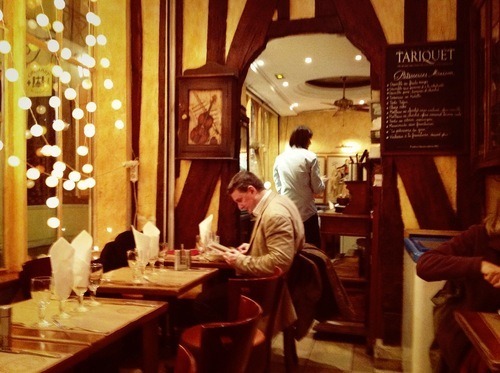 Nestled in one of the cutest passageways in the Latin Quarter, I found this tiny restaurant on a rainy evening. Originally just ducking inside trying to escape the infamous monsoons of Paris (ha! ), I couldn’t have been more please to have stumbled upon this gem. Another French bistro to add to the list (we are in France after all), Cepe et Figue also has a delicious French onion soup (are you sick of hearing that yet?!). I had a yummy combination of their soup as an entree, their boeuf bourguignon as a main dish, and a cheese plate for dessert. What a winning combination on a rainy evening, let me tell you. We’re not saying it needs to be raining to enjoy an evening here…try it out rain or shine after your tour! Okay, thus far we’ve given you a lot of places located in the Odéon area, now let’s move onto the famous neighborhood of Saint-Germain-des-Prés. the Odéon area, now let’s move onto the famous neighborhood of Saint-Germain-des-Prés. This local in Paris is probably most well known for it’s hotspots like Café Flore and Les Deux Magots. Bouillon Racine is a breathtakingly beautiful restaurant in true Art Nouveau décor – it is now labeled a historical monument! The dishes are mostly traditional French and excellent (especially their escargot and duck confit). Another great go-to choice? The artichoke soup! This is another great French restaurant whose quality cooking is based on fresh market produce. Its menu is always what’s in season. You know you’re meal is going to be fresher than fresh when the chef changes the menu to adjust based on what’s actually growing! This place also has a wonderful selection of wines, so don’t be afraid to ask the sommelier for suggestions because he always has great ones! This restaurant is a popular spot for both locals and tourists. The staff is very friendly and they all speak English. They only offer fixed menus, which we always take a good sign! Don’t fix something that’s not broken, right?! FYI: It’s best to reserve in advance. Open: Monday 7-11pm, Tuesday-Friday noon-3pm and 7-11pm, Closed Saturday and Sunday. We now that this list has featured all French food up to this point, so this suggestion is for those of you who have had enough of the onion soup already. The most amazing Ethiopian restaurant ever (don’t be afraid to eat non-French food in France! )– I was taken here for the first time with my Ethiopian friend because it was her favorite restaurant in the city. When your Ethiopian friend in Paris suggests an Ethiopian place in Paris…you just have to say yes! Try some of their subtly spiced chicken, beef, and vegetable dishes. Everyone orders what they want and the dishes come out on one communal platter – then, savory crepes are passed around and you use pieces of the crepes to pick up the food and eat it. It certainly is an experience, and the quality of food is incredible. Godjo is pretty popular among Parisians (though you’ll hear plenty of English here too), so we suggest to reserving. Choose a time about 30 minutes after the end of your tour – enough time to get over their without feeling rushed. 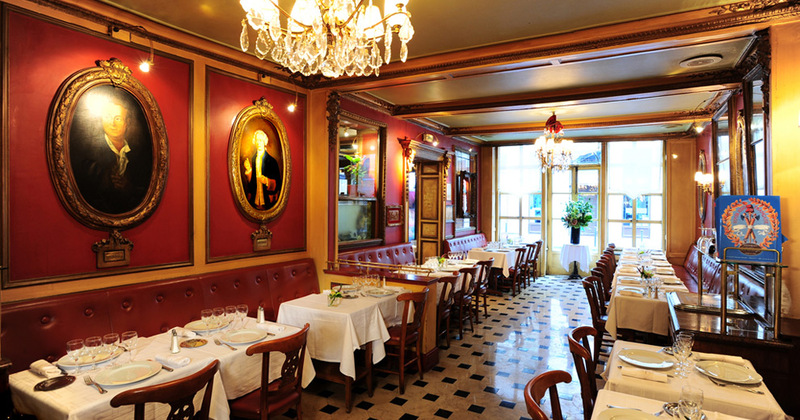 We could not have a list of restaurant recommendations in the Latin Quarter without including Le Procope for its amazing history. Some of you may have already heard of this one – this is the oldest café in Paris! All of the big shots of the enlightenment movement used to hang out here back in the day, and it’s also one of the first places in Paris to serve a new specialty – COFFEE! If you follow us on Facebook, Instagram, or if you’ve seen our recent article on finding some of the best coffee in Paris… I’m pretty sure you know our obsession. Okay, “enough with the history already, what can we eat? !”, right? Le Procope has all of the French classics here. One big classic I’d recommend: the French onion soup. One note: service is sometimes “lacking” at Le Procope. This is a French institution and often, the biggest draw is the history of the place. So it’s a good idea ot read our French restaurant etiquette article to read our tips and advice on what to expect in Parisian restaurants – from service to menus and more… But be aware that the historical importance of Le Procope plays a part in the way the place is run. we know you’ll be craving a yummy in the tummy dinner after your Secrets of the Night tour, and now you know where to go! Make sure to comment if you like our suggestions, or if we’ve missed any. Happy eating! Whether you’re in the Marais, checking out Sacre Coeur, or walking along the Seine, we’ve got your back! This entry was posted in Food & drink, News and tagged dinner, ethiopian, fish, meat, recommendation, restaurant, vegetarian. Bookmark the permalink.